You really can't get away from the "Devdas" archetype in Hindi cinema. Love it or hate it, or want to put a pin in it and let all the alcohol drain out forever . . . the self-destructive sharabi runs deep in the veins of filmi myth and legend, both on and off the screen. However, some drunkards are more likable than others. Let the Beloved Drunkards Countdown begin! This is probably my favorite Om Prakash role . . . and also might be the most brief. Portraying a man who's family, constitution, and reputation was destroyed by the same gang Amitabh's Vijay wants to dismantle--Om Prakash is the rare essential drunkard--appearing just before the climax to ensure that our hero knows exactly what's at stake in his mission for justice. 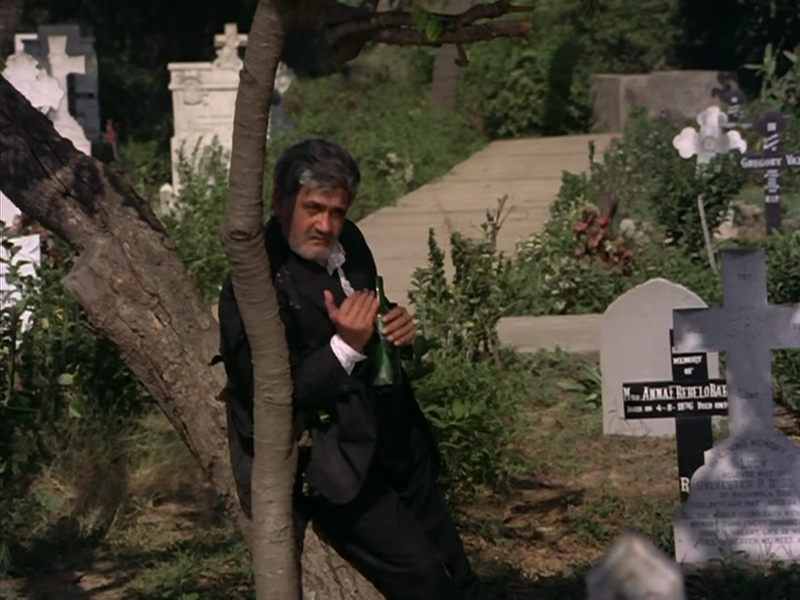 Not only was the graveyard scene my second favorite part of Zanjeer (my first is Sher Khan, what else?) but I feel like it showcases OP's strengths perfectly. He is one part liquor, one part humor, and one part hard-won wisdom. It's a cocktail that is more poignant than predictable; and unlike most filmi Christian drunkards, this fellow isn't there just for laughs or to steer the hero wrong. He also looks a bit like Eli Wallach in this scene, don't you think? Everybody "knows" about Dharmendra's real-life relationship with alcohol. It's almost as famous as his relationship with Hema Malini, and perhaps just as prone to mythological retelling. Dharmendra played a lot of drinkers (if not drunkards) over the course of the 70's, but Sholay's Veeru is surely the best remembered (and perhaps the most sympathetic) of the lot. Veeru isn't a bad fellow, but he isn't exactly good, either. He's the happy-go-lucky half of Jai/Veeru jodi, and the mischievous half of the Basanti/Veeru life partnership. 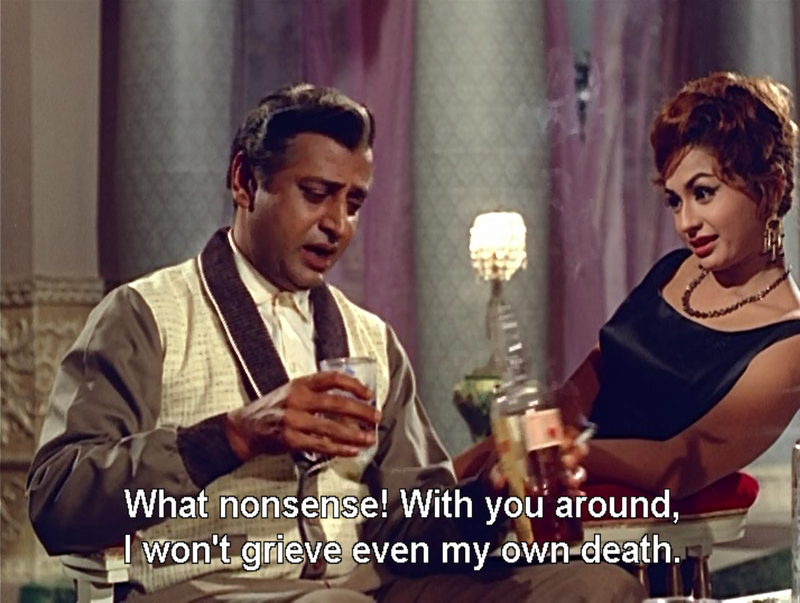 Furthermore, if anyone could make a drunken rant and suicide threat seem endearing, Veeru certainly did. I don't think we ever find out if he gives up the bottle, because his eventual choice to give up a life of petty crime for a higher purpose duly papers over his previous moral failings. But personally, I'd like to think the sight of his beloved dancing on glass from broken liquor bottles cures him for once and for all. I had some issues with Ashanti, but all those issues disappeared whenever Mithun's bootlegger character staggered into the frame. Not only does he cast into sharper relief the bad-assery of the trio of female avengers, he often begs them to "rescue" his chastity . . . unashamedly letting the ladies hog the limelight. Though he may be a drunkard, this wastrel also happens to run a business to serve other wastrels, guards his underworld territory with an iron fist (even if if it means half-naked mud fights with the Bob Christos of the world), and is a no-nonsense landlord. Not too shabby for a guy with such consistently high blood-alcohol levels. This character was not just my first Amitabh role (and remains my favorite Amitabh role), but it's also probably my favorite filmi wastrel role in terms of story arc. Suhaag is also an extremely palatable mash-up of the usual masala dilemmas. For once, the "bad" brother is not really bad, he's just a drunkard with a mommy-complex. If only Amit (Amitabh) had been slapped as a child when he began engaging in (forced) drinking, like his priggishly perfect brother (Shashi Kapoor)! Rakhee is beautiful in this film. Beautiful and complicated and sad. As much as I haven't wanted to/been able to rewatch this film, Rakhee's performance in it is practically engraved in my heart. I've never seen such a convincing portrayal of grief and depression anywhere else in Hindi cinema . . . at least not anything that strikes home in the same way. As a quiet and vaguely "older" woman, Nisha, who is still mourning her dead fiancee (Shashi Kapoor), Rakhee makes an age-disparate, extra-marital affair seem almost justified. Added to that, Rakhee convincingly portrays a sucessful career woman living on her own . . . something rare in Hindi cinema before the 2000's. I use this screenshot as an avatar fairly often--so I figured I had to mention why eventually. While some of the strength of her character is surely due to Nisha's sensitive treatment in the script, AND the art department's choice to give her a living space that actually looks "lived in", it's still obvious that the character's raw humanity comes from Rakhee herself. In the 70's (much less now) it takes guts to play a female character that is (A) significantly older than oneself, (B) having an affair not just with a married man, but a younger married man, and (B) an alcoholic. It was the role of a lifetime, and should have made Rakhee into the poster-child of complicated, introverted, and single women (with a past) everywhere. All you really need to know about Gumnaam is that it is a very stylish interpretation of Agatha Christie's "And Then There Were None." Oh yes, that and Pran and Helen Get It On in an extremely satisfying "We're condemned to die, these are the last days of the empire, so let us be merry" fashion. This movie as a whole is amazing, but by far the best aspect of the film (besides Jaan Pechaan Ho) is the Helen/Pran jodi. Unfortunately for the rest of the characters in the ensemble, they easily steal the show with their combined powers of smoky presence and seedy charm. Though their plot isn't especially villainy driven, they still radiate a weary blackmarket, underworld vibe . . . as they pull each other into a descending spiral of desperate hedonism. And while their characters aren't particularly smooth at survival, they are still the coolest people I would never want to be. Which wastrels always steal your heart? What an interesting subject for a list! I like all your choices, but of course, Amit in Suhaag and Dharam in Sholay top my list. Yes, also to Om Prakash in Don. I haven't watched Doosra Aadmi - shocking, I know. But somehow, I missed that film. Should watch it some time. 1. Meena Kumar in Sahib Bibi aur Ghulam. Favourite scene is when she slurs in anguish: Hindu ghar ki bahu hokar kya sharaab pee hai kisi ne? 2. Johnny Walker in Madhumati - Jungal mein mor naacha is a classic. 3. Rajesh Khanna in Amar Prem - He is drunk throughout the film but the song Kuch toh log kahenge is fabulous. 4. Amitabh in Amar Akbar Anthony - How can I forget that?! The mirror scene after the fight is one of the best! 5. Amitabh again - in Satte pe Satta - his Daaru peene se liver kharab hota hai scene with Amjad Khan; the dialogues in the scene were an impromptu invention between the two actors who were also close friends in real life. Laugh out loud scene in a film filled with many such! :) Thanks for the smiles. I like your choices as well :) . . . I actually have seen all those films except Sahib Bibi aur Ghulam (Ever since Pakeezah, I've been wary of Meena Kumari's tragic-ish roles--she can make me feel like I am dying in sequence with her, which is something I don't quite know how to prepare myself for). My arbitrary rules (I have them too, lol!) were that the characters had to be defined to some degree by their drunkeness . . . AND I had to really love them. So, singular drunk sequences couldn't quite count. So, accordingly, I was this close to including Rajesh's role in Amar Prem, except that I didn't particularly love that movie OR the role. Even as a Rajesh fan I found the character really off-putting. The one scene I did love in that movie was the song on the boat--where he and Sharmila's character have that moment of soul-mateyness. I love their onscreen partnership, and that was reason enough to watch the film in hindsight. I didn't realize the SpS scene with Amjad was improvised--I should rewatch it in light of that revelation! My favorite bits in that movie was anything with the evil Amitabh double . . . so exquisitely filmi. Touché. :) So the two Amitabhs go away. How about Dolly Ahluwalia as Vicky's mom in Vicky Donor? From her Delhi Punjabi accent, to her character who loves nothing better than a drink, she was a riot. Amitabh in the titular role of Sharabi. :) Not a great film, but 80s masala. Can't think of any more at the moment. I like how "80's masala" is a warning label of sorts, lol. I think it's official. Amitabh wins the title of "Deliverer of the most consistently amusing drunk scenes/characters." At least in our combined lists, he sure takes takes the cognac, er cake. P.S. Your description of Dolly in Vicky Donor is the only selling point that has made me want to watch that movie so far. Wasn't Om Prakash a drunk in Amar Prem too? A friend of mine thought that Om Prakash drinking sharaab even in his gol gappas was the epitome of alcoholism! 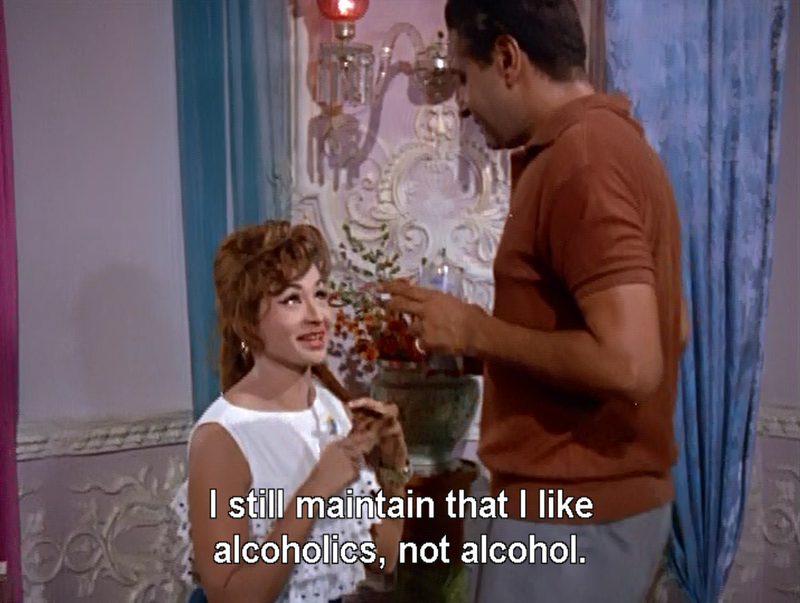 Apart from Rakhee and Meena Kumari, there is a serious dearth of lovable female alcoholic role models! More recently, there is Mahie Gill in the Sahib Biwi Aur Gangster series. She is quite the opposite of lovable in it, though. 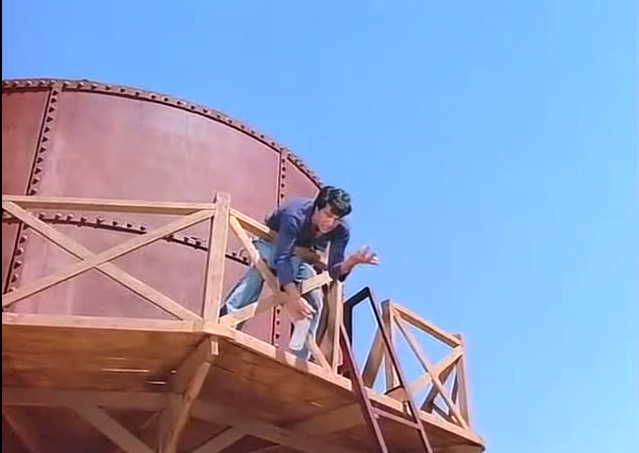 Oh gosh, I forgot about Om Prakash in Amar Prem. I was sure I had seen him play drunkard elsewhere . . . and now that mystery is solved. Coincidentally, would gol gappas taste better marinated in sharaab? Asking for a friend . . . ahem. Thinking of recent lady sharaabis, I thought about mentioning Dimple Kapadia's character in Dil Chahta Hai, except that her storyline was just a mess and kind of sours the whole film for me. She was mostly just a cheaper version of Rakhee's archetypal older alcoholic female anyway. I think you have to take up drinking to get through the Rishi bits in Doosra Aadmi (but don't ask me how I know that, lol). Poor Rakhee, having to make do with Rishi! He is NOT an acceptable substitute for the Curly One. But that's probably why she needed the alcohol in the first place. To help with the mental superimposition of Shashi's face over Rishi's.